Our staff of factory trained field engineers and network of global service organizations are available at a moments notice to diagnose and repair a variety of power protection products including UPS, Motor Generators, Power Distribution Systems, and Power Conditioning Units. 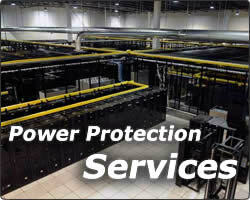 We inventory parts for and service many different brands of power protection products! If you need assistance, don't hesitate to call us so that we can supply you with the best products or services that only Gruber Power Services can supply! Coverage - Gruber Power Services has trained Field Engineers on staff locally to provide you with the quickest response possible in case of outages. In addition, our Service Alliance Partners allow us to offer service response wherever you are on the globe. Escalation Procedures - Gruber Power Services understands that occasions may arise where factory support may be necessary to solve unusual or design problems with your UPS. Gruber Power Services maintains reciprocal subcontracting agreements with several manufacturers to insure you receive the highest quality service available. Qualified Field Engineers - Gruber Power Services maintains an employee base of qualified Field Engineers who go through rigorous in-house and factory training when possible prior to joining the field force. 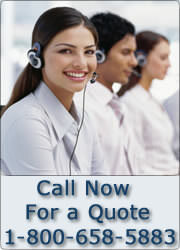 This pool of experience and expertise provides you with the most professional and timely service possible. Company Stability - Gruber Power Services is a subsidiary of the combined Gruber companies which are involved in construction, manufacturing, internet services, and power conditioning sales and service. With hundreds of employees to meet any and all power and communications needs, our buying power and financial stability insures that we can meet any obligations necessary to get the job done correctly. Ability to Provide Spare Parts - Gruber Power Services stocks spare parts for the UPS's we service. In addition, our large UPS refurbishment activity provides access to legacy parts which we not only supply to other independent maintenance organizations, but the UPS manufacturers as well.